An ambitious barrister and his wife are targeted by blackmailers. In trying to save her husband, the wife becomes involved in a murder case her husband is trying. For his part, the husband's actions make him a suspect in a related murder. Miss Sutton, Neff's Secretary: Are you ill, Mr. Nolan? Miss Sutton, Neff's Secretary: Are you ill? Leander 'Bunny' Nolan: No...No...A thought just struck me. Miss Sutton, Neff's Secretary: That's too bad. She's nearly forgotten today, but Ann Harding was a true cinema aristocrat in the '30s, a movie star who didn't look like one (she wore practically no makeup) but was lovely all the same. She didn't act like one, either. 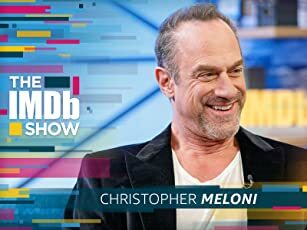 Here, she's a free- thinking artist (referred to by other characters as "Bohemian," and it's clearly an insult) whose projected tell-all autobio is going to put an old flame's political career in jeopardy, and she's so obviously more intelligent than any of her co- players that you can't take your eyes off her. Calm, ladylike, and vaguely amused by her surroundings, she's a lot like her contemporary Irene Dunne, but less forced. The movie, from a smart S.N. Behrman stage comedy, is a civilized affair where characters bat around words like "propinquity" without flinching and the slowish pacing feels right. 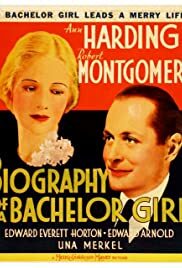 Perfect it's not, particularly in the male casting: Robert Montgomery, as her perpetually dissatisfied editor, doesn't stint on the character's unlikability, which leaves one rooting only halfheartedly for their romance to alight. And Edward Everett Horton, as her compromised ex-beau, isn't believable for a moment, being so obviously... Edward Everett Horton. On the other hand, Edward Arnold, the screen's best Evil Plutocrat of the '30s, is here a quiet, sympathetic spurned beau, and completely charming. It's a pleasant journey back to a time where the general public was more sophisticated, though without Ms. Harding's presence, it wouldn't add up to nearly as much.